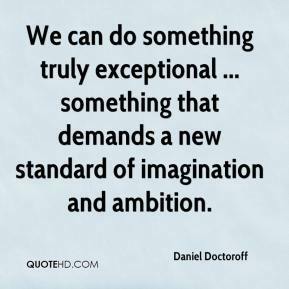 We can do something truly exceptional ... something that demands a new standard of imagination and ambition. 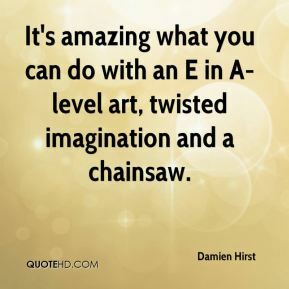 It's amazing what you can do with an E in A-level art, twisted imagination and a chainsaw. 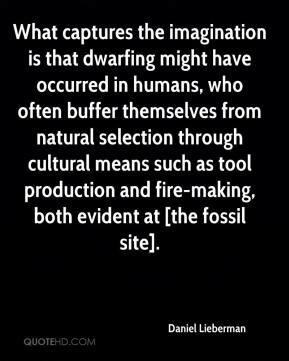 What captures the imagination is that dwarfing might have occurred in humans, who often buffer themselves from natural selection through cultural means such as tool production and fire-making, both evident at [the fossil site]. 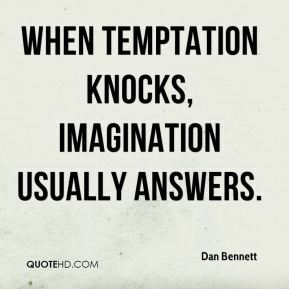 When temptation knocks, imagination usually answers. 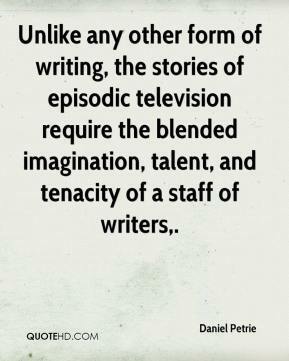 Unlike any other form of writing, the stories of episodic television require the blended imagination, talent, and tenacity of a staff of writers. 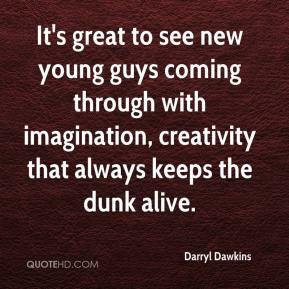 It's great to see new young guys coming through with imagination, creativity that always keeps the dunk alive. The world is wonderful and beautiful and good beyond one's wildest imagination. Never, never, never could one conceive what love is, beforehand, never. 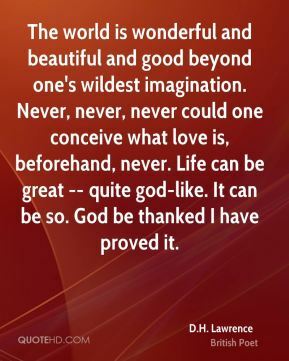 Life can be great -- quite god-like. It can be so. God be thanked I have proved it. 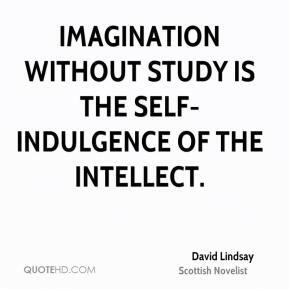 Imagination without study is the self-indulgence of the intellect. 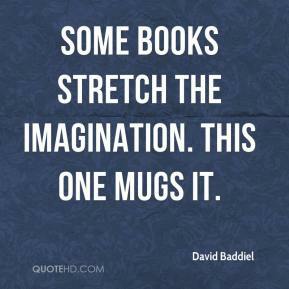 Some books stretch the imagination. This one mugs it. 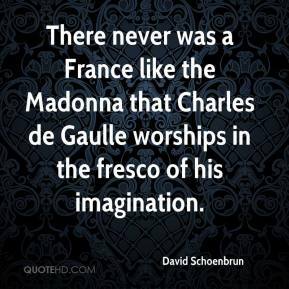 There never was a France like the Madonna that Charles de Gaulle worships in the fresco of his imagination. 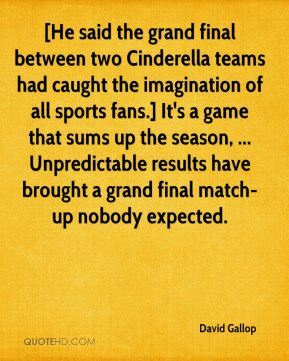 [He said the grand final between two Cinderella teams had caught the imagination of all sports fans.] It's a game that sums up the season, ... Unpredictable results have brought a grand final match-up nobody expected. I grew up alone, ... 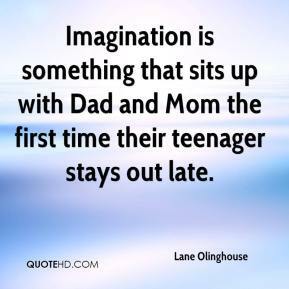 I spent a lot of time in my own imagination. 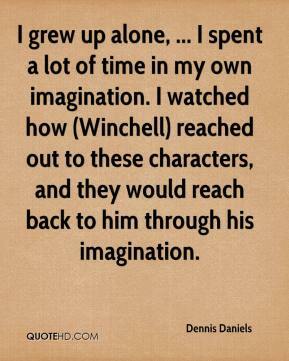 I watched how (Winchell) reached out to these characters, and they would reach back to him through his imagination. 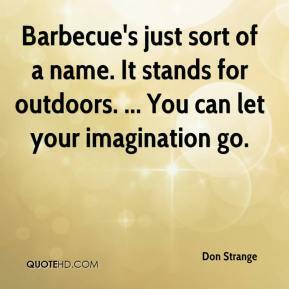 Barbecue's just sort of a name. It stands for outdoors. 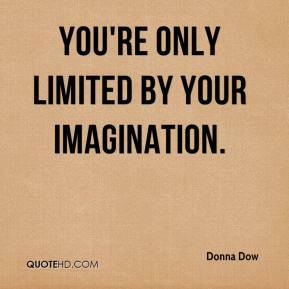 ... You can let your imagination go. 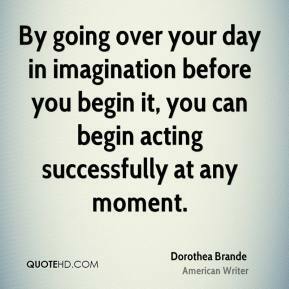 I feel the better way is to 'begin' and then see where your imagination takes you. 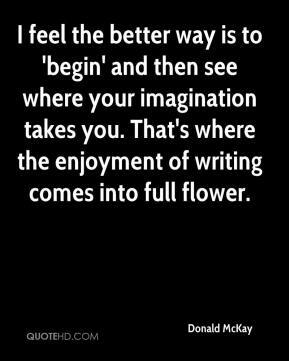 That's where the enjoyment of writing comes into full flower. 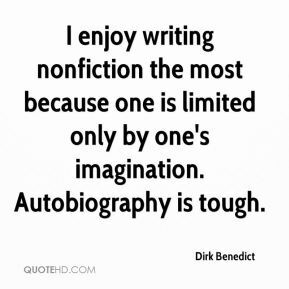 I enjoy writing nonfiction the most because one is limited only by one's imagination. Autobiography is tough. 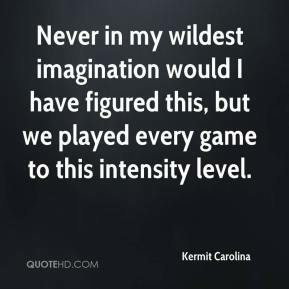 Never in my wildest imagination would I have figured this, but we played every game to this intensity level. [Imagination] helps me to become part of that journey that I'm going through in font of the camera, or in front of an audience. 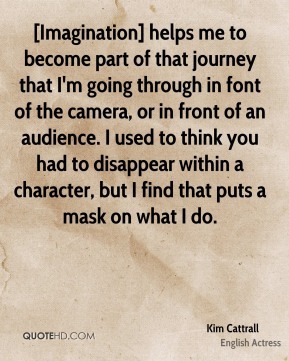 I used to think you had to disappear within a character, but I find that puts a mask on what I do. 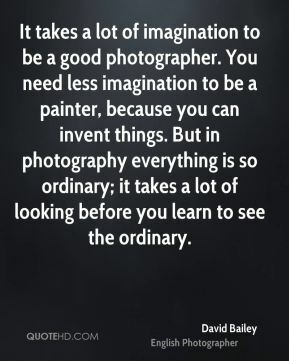 It really is only limited by your imagination. It can be customized to your own likes and dislikes. 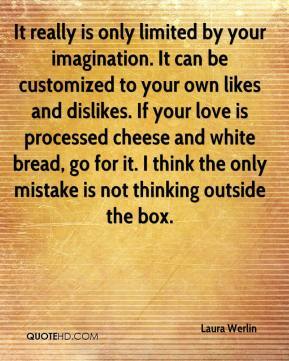 If your love is processed cheese and white bread, go for it. I think the only mistake is not thinking outside the box. 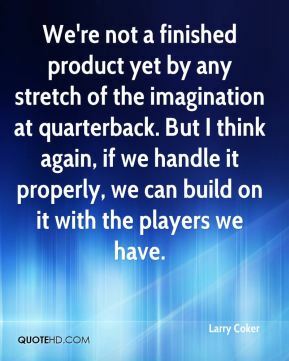 We're not a finished product yet by any stretch of the imagination at quarterback. But I think again, if we handle it properly, we can build on it with the players we have. We can't tell victims what to do. 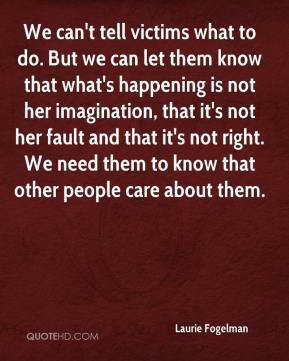 But we can let them know that what's happening is not her imagination, that it's not her fault and that it's not right. We need them to know that other people care about them. 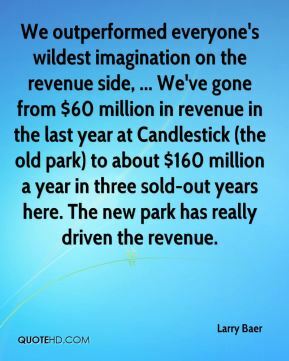 We outperformed everyone's wildest imagination on the revenue side, ... We've gone from $60 million in revenue in the last year at Candlestick (the old park) to about $160 million a year in three sold-out years here. The new park has really driven the revenue.